I have several stainless steel items in my house that really needed a good polishing, so I bought these Microfiber Cleaning Cloths for Polishing Stainless Steel Kitchen Appliances & Streak Free Glass 3pk in hopes of bringing back a good shine to these items. Although the description calls these cleaning cloths, it is intended more for polishing than for actual cleaning. I can't imagine that using one of these cloths on a greasy stove would be at all useful. 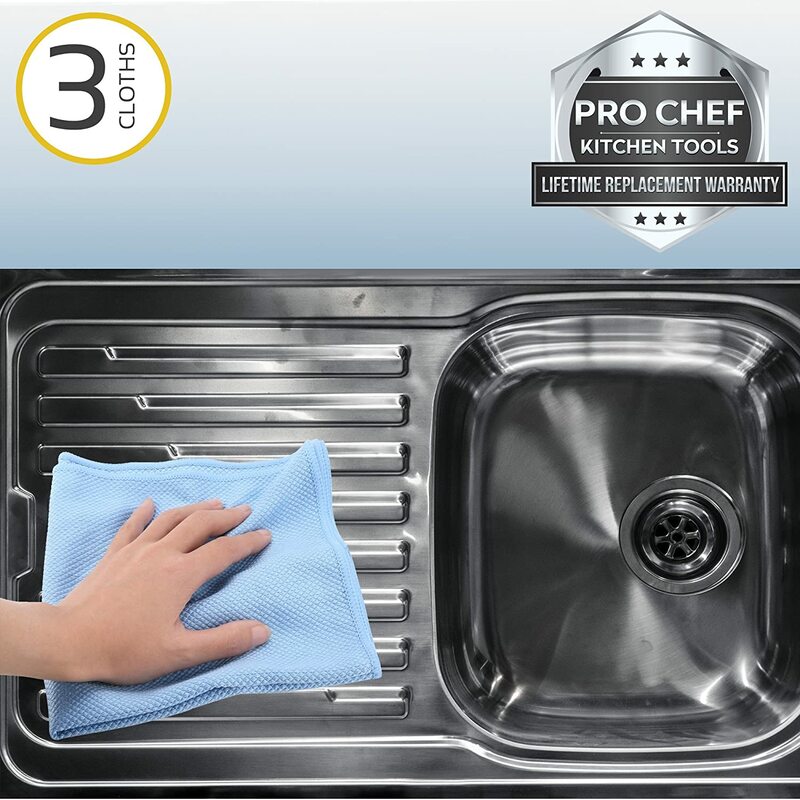 Once cleaned though, you can use this either dry or with water to buff and polish your stainless steel items. It did a decent job on my toaster, range, and dishwasher. My stainless steel sink is so old though that it would take a miracle to get it looking good. I was happy that this did make it look better, though I really didn't expect much because of the condition it is already in. The faucets do look much nicer though, and like I said, I don't expect miracles to happen, although I would love to see my sink shine like new.